You are currently browsing articles tagged field guide. -First, be sure to set the print area, to avoid all the blank pages. Do this by manually selecting all the cells with data in them (drag the cursor from cell A1 to G190 and they will all appear blue.) Then access the menu for File > Print Area > Set Print Area. Please feel free to take the advice of dedicated Wildlife or Concert photographers, for example, above mine if it differs! And for further information, explanations, justifications, and caveats for the settings I specify, please have a look at my clear and comprehensive guide Nikon D500 Experience. The First and Best Canon EOS 5DS / 5DS R User’s Guide now Available! Canon 5DS / 5DS R Experience, my latest Full Stop e book and the first EOS 5DS and 5DS R user’s guide, is now available! This e book goes beyond the manual to help you learn the features, settings, and controls of the powerful and highly customizable Canon 5DS and 5DS R. Plus most importantly it explains how, when, and why to use the functions, settings, menu options, and controls in your photography – including the sophisticated 61-point viewfinder autofocus system with its AF Modes and AF Case settings, the Live View-Movie AF system, personalizing the Custom Controls, and controlling exposure and shooting settings. The guide also covers the in-camera features such as Multiple Exposure, Time-Lapse, HDR, RAW image processing, and the Mirror Lock-Up and Exposure Time delay settings to help maximize sharpness and get the most from the high-resolution sensor. Plus it includes explanations and recommended settings for the Menu items and Custom Function settings. Written in the clear, concise, and comprehensive style of all Full Stop guides, Canon 5DS / 5DS R Experience will help you learn to use your 5DS or 5DS R quickly and competently, to consistently create the types of images you want to capture. This e-book is available in either PDF or EPUB format for reading on your computer, tablet, iPad, e-reader, etc. Take control of your Canon 5DS / 5DS R, the image taking process, and the photos you create! For Intermediate and Enthusiast Photographers – This guide is designed for enthusiast dSLR photographers who wish to take fuller advantage of their camera and shoot competently in Av, Tv, and M modes; take full control of the versatile 61-Point autofocus system; and learn how, when, and why to use and customize the various controls, buttons, and features of the 5DS and 5DS R. It covers dSLR camera functions and exposure concepts for those learning digital SLR photography, and explains more advanced camera controls and operations such as Metering Modes, Exposure Compensation, and Histograms. For Experienced Photographers – This guide explains the new and advanced features and settings in order to quickly get you up and running and taking advantage of these capabilities. Plus it explains the camera controls and how to customize them, how to take control of the AF Area Modes and configuration Cases for capturing moving subjects, how to make use of the in-camera HDR, Multiple Exposure, and Time-Lapse features, and how to get the most from the 50.6 MP sensor. It introduces back-button focusing, the HD video capabilities, and guides you through all the 5DS / 5DS R Menu and Custom Function items to help you best set up and customize the camera for your specific shooting needs. The guide contains a link to a detailed 5DS / 5DS R Setup Spreadsheet, to help set up your menus and settings for various shooting situations. Setting Up Your 5DS / 5DS R – All of the Menus and Custom Function settings, with explanations and recommended settings to set up and customize the advanced features to work best for the way you photograph. Aperture Priority (Av), Shutter Priority (Tv), and Manual (M) Modes – How and when to use them to create dramatic depth of field, freeze or express motion, or take total control over the exposure settings. Auto Focusing Modes and Area Modes, and Drive Modes – Learn the AF Modes, AF Area Modes, and the AF Menus and Cases, plus how they differ, how and when to take advantage of them to capture both still and moving subjects. Exposure Metering Modes – How they differ, how and when to use them for correct exposures in every situation, including exposure lock and exposure compensation. Histograms, Bracketing, and White Balance – Understanding these features for adjusting to the proper exposure in challenging lighting situations. The Image Taking Process – Using the settings and controls for both still and moving subjects. Photography Accessories and Books – Useful accessories for the 5DS / 5DS R.
This digital guide to the Canon 5DS and 5DS R is a 400 page illustrated e-book that goes beyond the 5DS / 5DS R manual to explain how, when, and why to use the features, settings, and controls of the 5DS and 5DS R to help you get the most from your camera. My latest guide, Nikon D5500 Experience is now available! Nikon D5500 Experience is an e book user’s guide that goes beyond the manual to help you learn the features, settings, and controls of this versatile camera. Most importantly, it explains how, when, and why to use the camera’s features, settings, and controls in your photography. Written in the clear, concise, and comprehensive manner of all Full Stop guides, Nikon D5500 Experience will help you learn to use your D5500 quickly and competently, to consistently make the types of images you desire. This guide is designed for Intermediate and Enthusiast dSLR Photographers who wish to take fuller advantage of the capabilities of their camera to go beyond Auto modes and shoot competently in A, S, and M shooting modes; take control of the complex 39 point autofocus system; and learn how, when, and why to use and customize the controls, buttons, and features of the D5500. It covers basic dSLR camera functions and exposure concepts for those learning digital SLR photography, and explains more advanced camera controls and operation, such as using the various metering modes and exposure compensation for correct exposure of every image. For more experienced photographers moving up to the D5500, this guide explains the new and advanced features to quickly have you taking advantage of these capabilities, including the 39 point autofocus system and its Focus Modes and AF-Area Modes. Plus it explains the camera controls, new touch screen, the in-camera HDR and Interval Timer features, explains the HD video and Wi-Fi capabilities, and guides you through all the Menus and Custom Settings to help you set up the camera for your specific shooting needs. Setting Up Your D5500 – All of the Custom Settings and Playback, Shooting, and Setup Menus, with explanations and recommended settings to customize the camera to work best for the way you photograph. Aperture Priority (A), Shutter Priority (S), and Manual (M) Modes – How and when to use them to create dramatic depth of field, freeze or express motion, or take full control over exposure settings. Focus Modes, AF-Area Modes and Release Modes – Take control of the 39-point autofocus system. Learn the AF Modes and AF-Area Modes, how they differ, how and when to take advantage of them to capture both still and moving subjects. Exposure Metering Modes – How they differ, and when to use them for correct exposures in every situation. The Image Taking Process – Descriptive tutorials for using the settings and controls to take photos of still or moving subjects. Wi-Fi – Connect the D5500 to your smartphone or tablet. Photography Accessories – Useful accessories for the D5500 and for dSLR photography. This 279 page digital guide to the Nikon D5500 is an illustrated e-book that goes beyond the manual to clearly explain how, when, and why to use the features, settings, and controls of the Nikon D5500 to help you get the most from your camera. 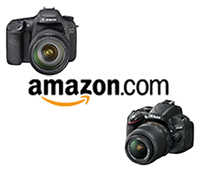 If you haven’t yet purchased your D5500, be sure to use the Amazon or B and H referral links on the left side of this page, to head over to those sites – thanks! The First Nikon D810 guide, Now Available! Nikon D810 Experience, my latest Full Stop e book and the first D810 user’s guide, is now available! This e book goes beyond the manual to help you learn the features, settings, and controls of the powerful and highly customizable Nikon D810. Plus most importantly it explains how, when, and why to use the functions, settings, menu options, and controls in your photography – including the sophisticated autofocus system with its new Group-Area AF mode, and the new Highlight-Weighted metering mode. Written in the clear, concise, and comprehensive style of all Full Stop dSLR guides, Nikon D810 Experience will help you learn to use your full-frame D810 quickly and competently, to consistently make the types of images you desire. This e-book is available in either PDF or EPUB format for reading on your computer, tablet, iPad, e-reader, etc. Take control of your Nikon D810, the image taking process, and the photos you create! This instant download Nikon D810 e book is designed for intermediate and enthusiast dSLR photographers who wish to take fuller advantage of the capabilities of their camera and shoot competently in A, S, and M shooting modes; take control of the sophisticated 51 point autofocus system and its multiple AF-Area Modes including the new Group-Area AF mode; and learn how, when, and why to use and customize the various controls, buttons, and features of the D810. To help you set up your camera, it includes explanations and recommended settings for all Menu options and Custom Settings of the D810. It explains camera functions and exposure concepts for those learning digital SLR photography, and explains more advanced camera controls and operation, such using the various metering modes and exposure compensation for correct exposure of every image, and taking advantage of other features of the D810 such as working in Live View, and the in-camera HDR, Multiple Exposure Mode, and editing features. For experienced photographers coming to the D810 from previous Nikon models, this guide explains the new and advanced features in order to quickly get you up and running and taking advantage of these capabilities, including the advanced Autofocus System and all its AF Modes, AF-Area Modes, and Custom Settings, for capturing both still and moving subjects. It also covers back-button focusing and trap focus techniques with the D810. Plus it explains the camera controls and how to customize them, new features such as Highlight-Weighted Metering, RAW S, the Electronic Front-Curtain Shutter feature, and the HDR, Multiple Exposure, and Time-Lapse Shooting features. The guide also introduces the HD video features and settings, and guides you through all the Playback, Shooting, and Setup Menus, Custom Settings, and Movie Mode Menu settings of the D810 in order to help you best set up the camera and its controls for your specific shooting needs, including the helpful, comprehensive Nikon D810 Set-Up Guide spreadsheet created by the author. Setting Up Your D810 – All of the D810 Custom Settings and Playback, Shooting, and Setup Menus, including Movie Mode Menus, with explanations and recommended settings for practical, everyday use. Set up and customize the advanced features of your dSLR to work best for the way you photograph. Auto Focusing Modes and Area Modes and Release (Drive) Modes – The 51 point D810 autofocus system is a powerful tool, and taking control of it will enable you to successfully capture more sharp images, in both still and action situations. Learn the AF Modes, AF Area Modes, and AF Custom Settings, how they differ, how and when to take advantage of them to capture both still and moving subjects. Plus how and when to use focus lock and back-button focusing. Exposure Metering Modes of the Nikon D810 – How they differ, including the new Highlight-Weighted Metering mode, how and when to use them for correct exposures in every situation, and how to customize them for your needs. Plus how to make use of exposure lock. Histograms, Exposure Compensation, Bracketing, and White Balance – Understanding and using these features for adjusting to the proper exposure in challenging lighting situations, customizing the controls for easy access to these features, and setting custom white balance. Photography Accessories – The most useful accessories for day-to-day and travel photography including accessories specific to the D810. 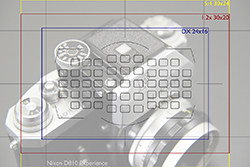 Lenses – Nikon (Nikkor) lenses compatibility with the D810, and explanations of lens notations. This 375 page digital guide to the Nikon D810 is an illustrated e-book that goes beyond the manual to clearly explain how, when, and why to use the features, settings, and controls of the Nikon D810 to help you get the most from your camera. One of the most powerful features of the Canon EOS 70D is the ability to customize the functions of various buttons and controls on the camera body. Taking advantage of this will allow you to set up the camera specifically for you and your shooting style and needs, and thus enable you to work more smoothly, quickly, and efficiently. Having the ability to easily and intuitively change the camera settings on the fly will also allow you to focus on the more important aspects of capturing the framing, moment, or composition you are after. These settings are found in the III-4: Custom Controls menu (see Figure 1). At first you may wish to leave many of these on the default settings or set them to match your previous camera settings. Then after working with the camera awhile, you will begin to know how you work and how you wish to work faster or more conveniently through customizing some controls. Pages 384-385 of the Canon 70D manual show all the possible options, and you might consider printing these manual pages to carefully study and consider your potential configurations. These explanations are excerpted from my e-book guide to the EOS 70D called Canon 70D Experience. As with all my dSLR guides, Canon 70D Experience will help you to learn not only how but more importantly when and why to use the features, functions, and controls of the 70D. Learn more about the guide on my Full Stop website here. Figure 1 – Custom Controls menu to customize the buttons and controls of the camera to function exactly how you need, to fit your working methods and shooting style. Some custom controls that you may consider experimenting with are the assigned settings of the Shutter Button (when it is pressed halfway), the AF Start Button (AF-ON), and the AE Lock Button (the one with the [*] symbol). You can customize them so that they initiate and/ or lock focus and exposure separately or in a variety of different button combinations. When working in Evaluative Metering Mode and One-Shot AF, the default setting is that exposure metering is locked and focus is locked at your active AF Point when you press the Shutter Button halfway. You then recompose if necessary and fully press the Shutter Button to take your photo. But the exposure settings were locked on a different framing than your final framing! So you may wish to lock focus with a different button than you lock exposure, or else re-determine the exposure metering settings for the final framing before taking the shot (which is typically done with the AE Lock [*] Button). Figure 2 – Custom Controls options – Selecting the Shutter Button (left), and choosing which function(s) it will perform when pressed half-way (right). When working in One-Shot AF with one of the Metering Modes other than Evaluative Metering (Spot, Partial, or Center-Weighted), the default setting is that exposure metering is begun (not locked) and focus is locked when you press the Shutter Button halfway. You then recompose if necessary and fully press the Shutter Button to take your photo, and exposure is determined at that moment. But with these other Metering Modes it is likely that you will want to lock exposure on a certain area before framing for the final shot and taking the photo. Either of these above default settings may cause you to meter for a scene or area that is different from what you intend, and thus result in a slight or profound under- or over-exposed shot. With the default button settings and the above scenarios, you can always use the AE Lock Button (exposure lock button with the [*] symbol) to lock in the exposure of your desired framing. But you may find that after working awhile, you would like to start or stop exposure metering and/ or focusing in a different manner than the default settings, and then you can reconfigure the functions of these buttons (See Figure 2). To test how your camera functions before or after changing these settings, set it on One-Shot AF Mode, Tv or Av Shooting Mode, and Evaluative Metering Mode, hold the camera to your eye, aim it at a bright area, and half-press the Shutter Button. While keeping the Shutter Button half-pressed, move the camera and aim it at a dark area. Keep your eye on the aperture and shutter speed settings in the viewfinder and watch if they change or if they remain locked. Change the metering mode (Spot, Partial, or Center-Weighted) and do this again. Then repeat the process by first pressing the Shutter Button half-way and then pressing (and releasing) the AE Lock [*] Button. You can repeat a similar process to see focus lock in action or to test your custom focus lock button settings. Note that there are multiple Auto Exposure Lock (AE Lock) options, such as when setting the function of the AE Lock [*] Button (see Figure 3). The AE Lock option will lock the exposure for the current scene when you press and release it. If you reframe the shot and want the camera to re-evaluate and re-lock the exposure, just press the [*] Button again. The AE Lock (while button pressed) option only applies to the Shutter Button, and will lock the exposure as long as the Shutter Button remains half-pressed, similar to how the camera works with the One-Shot / Evaluative Metering default settings, as described above. This differs from assigning the Shutter Button to Metering start because with Metering start, the camera will start evaluating for exposure, but the exposure values will not be locked but will continue to change until you take the photo or press the AE Lock [*] button (when you are working in Partial, Spot, or Center-Weighted Metering Modes). Again, you can see this in action by half-pressing the Shutter Button to start metering, look in the viewfinder (or on the LCD Panel) at the exposure settings, move the camera around, and see the settings change. The AE Lock (hold) option (indicated with “*H”) will lock the exposure and maintain that lock with those exposure settings for all subsequent shots, until you press the AE Lock [*] Button again. The AE Lock option without the (hold) option (indicated in the menu options with “*”) will only lock the exposure settings until the metering timer ends (the exposure numbers disappear in the viewfinder and on the top LCD Panel). The AE Lock/FE Lock option will lock both the exposure settings as well as the flash output setting when using a flash. If a button is set for this option, pressing the button will fire a pre-flash from the built-in flash or a Speedlite to determine and then lock the proper flash output. Figure 3 – Custom Controls options for customizing the functions of the AE Lock Button. Some options will allow you to perform what is called “back button focusing,” which is further explained in the Back Button Focusing section of Canon 70D Experience. This technique allows you to start and/ or stop (lock) the autofocusing using the AF-ON button, in conjunction with or instead of the Shutter Button. Taking advantage of these options can help you to fully utilize the autofocus system of the 70D as well as modify it for your personal shooting style. While you may wish to work with your camera before considering changing most of these settings, I strongly encourage you to immediately change the function of the thumb-pad Multi-Controller to AF Point direct selection so that you don’t have to press the AF Point Selection Button first every time before you select your autofocus point (see Figure 4). Instead you can just press the thumb-pad Multi-Controller to choose your desired AF Point (once you have tapped the Shutter Button to wake up the camera and begin metering). Figure 4 – Left: Custom Controls options for the Multi-Controller (thumb pad) to set for AF Point Direct Selection so that your desired AF Point can be quickly selected with the Multi-Controller alone. Right: Custom Controls options for customizing the functions of the Depth-of-Field Preview Button, including the Electronic Level. You may also want to consider assigning the Depth of Field Preview Button to one of the other available functions if you don’t typically use it for its depth of field preview function (see Figure 5). For example, you can use it for FE Lock (flash exposure lock) or to quickly switch between One-Shot focus mode and AI Servo focus mode. The switch only occurs as you hold the button, so for example if you are shooting a still subject using One-Shot focus mode but suddenly wish to start tracking a moving subject, press and hold this button to temporarily work in AI Servo mode. Or if the camera is set for AI Servo mode, holding this button will temporarily switch the camera to One-Shot mode. 70D “Hidden” Feature: You can also set the Depth of Field Button as the Viewfinder’s VF Electronic Level, which is sort of a “hidden” feature of the 70D. This is different than the Viewfinder Level icon of the Shooting 1 menu, and instead uses the AF Points displayed in the Viewfinder as a one-axis level. This level will function in either camera orientation (see Figure 4). If this option is selected, when you are shooting simply press the Depth of Field Preview button for this Viewfinder Level to appear, then tap the Shutter Button to resume shooting. And you may want to assign the SET Button to the function of your choice for quick access, such as perhaps Flash Exposure Compensation since there is not a dedicated button for this. Or you might set it for Image Quality. This can be a helpful setting because certain camera functions such as HDR Mode are only accessible when capturing JPEG images, so you may need to quickly change from RAW or RAW+JPEG image quality to JPEG only. Another interesting setting for the SET Button is Set ISO speed (hold button, turn Main Dial). What this customization does is allow you to change the ISO setting by pressing and holding the SET Button and turning the top Main Dial (see Figure 5). While this may seem unnecessary as there is a dedicated ISO Button on the top of the camera that allows you to quickly change the ISO, it can come in handy during shooting. For example if your camera is on a tripod and you are positioned behind it using the Live View screen, it may easier to use this SET Button and Main Dial arrangement to change the ISO than it is for you to look or feel around the top of the camera to determine which button is the ISO Button. Or you may find that this method is just a really quick way to change the ISO during Viewfinder shooting. Of course you can always use the [Q] Button or icon and Touch Screen to change the ISO setting as well. So, as with many other settings, determine which camera set-up and method works best for you and your shooting situation. Unfortunately, if you set the Multi-Controller to AF Point direct selection, the SET Button will not directly select the center AF Point, as you may be used to. You will still have to press the AF Point Selection Button first and then press the SET Button to directly choose the center AF Point. This issue may cause you a bit of trouble if you have assigned the SET Button to another function, as that function screen will suddenly appear on the rear LCD Monitor if you press the SET Button while you are shooting, and you may accidentally change that setting. If this becomes an issue, assign the SET Button to OFF. Figure 5 – Custom Controls options for customizing the functions of the SET Button. Finally, if you often work in Aperture Priority (Av) mode but then sometimes work in Manual (M) shooting mode I suggest you swap the functions of the Main Dial and the Quick Control Dial in Manual Mode (see Figure 6). Access the Main Dial option (the half-circle icon) and assign it to the Av option (Aperture setting in M mode). Then access the Quick Control Dial (the full-circle icon) and assign it to the Tv option (Shutter speed setting in M mode). By doing this the Main Dial controls the aperture setting in M mode just as it does in Aperture Priority Mode, and the Quick Control Dial controls the shutter speed setting when working in Manual (M) mode. If you typically work in Av Mode and then switch over to M mode, the muscle memory of your index finger will thank you as it will instinctively turn the Main Dial to adjust the aperture setting, and this was not the default setting of the camera. If you typically work in Tv Mode and sometimes switch to M Mode, leave these buttons on the default settings. Figure 6 – Custom Controls options for customizing the functions of the Main Dial (left) and Quick Control Dial (right) when working in Manual (M) Shooting Mode. To learn more about using your Canon 70D and how to take full advantage of all its features, functions and controls – including back-button focusing, plus taking control of the autofocus system, making use of the various metering modes, and understanding the elements of exposure – have a look at my e-book guide called Canon 70D Experience. As with all my dSLR guides, Canon 70D Experience will help you to learn not only how but more importantly when and why to use the features, functions, and controls of the 70D. Learn more about the guide on my Full Stop website here. Read my hands-on preview of the 70D with some sample images at my Canon 70D Unboxing and Hands-On Preview post. Live View – White Balance: I ran across a question online about setting a Kelvin white balance in Live View, so I will add this info here with some screen shots below. To change the WB in Live View, press the Q Button to access the Quick Control Screen, then select the White Balance icon, either by navigating to it by pressing up or down on the Multi-Controller, or simply using the Touch Screen. If you have navigated to it, you can then press left and right on the Multi-Controller to make your selection at the bottom of the screen. If you select the K option, press the INFO Button to select your desired temperature. And if you are planning to purchase your Canon 70D online, please consider using my affiliate links and help support this blog – thanks! Nikon D7100 Experience, my my recent Full Stop e book and the very first D7100 user’s guide, is now available! This e book goes beyond the manual to help you learn the features, settings, and controls of the powerful and highly customizable Nikon D7100. Plus most importantly it explains how, when, and why to use the functions, settings, menu options, and controls in your photography – including the sophisticated 51 Point autofocus system and the in-camera features such as Multiple Exposure, HDR, 1.3x crop mode, and Interval Timer Shooting. Written in the clear, concise, and comprehensive style of all Full Stop guides, Nikon D7100 Experience will help you learn to use your D7100 quickly and competently, to consistently make the types of images you desire. This e-book is available in either PDF or EPUB format for reading on your computer, tablet, iPad, e-reader, etc. Take control of your Nikon D7100, the image taking process, and the photos you create! Take fuller advantage of the capabilities of their camera to go beyond Auto and P modes and shoot competently in A, S, and M shooting modes. Make full use of the complex 51 point autofocus system to capture sharp photos. Learn how, when, and why to use and customize the controls, buttons, and features of the D7100. It covers basic dSLR camera functions and exposure concepts for those learning digital SLR photography, and explains more advanced camera controls and operation such as using the various metering modes and exposure compensation for correct exposure of every image. For experienced photographers upgrading to the D7100, this guide explains the new and advanced features to quickly get you taking advantage of them, including the 51 point AF system and its Autofocus Modes, AF-Area Modes, and Custom Settings. Plus it explains all the camera controls, the in-camera HDR, Multiple Exposure, and Interval Timer features, introduces the video capabilities, and guides you through all the Menus and Custom Settings, with recommended settings to help you set up the camera for your specific needs. Setting Up Your D7100 – All the Custom Settings and Playback, Shooting, and Setup Menus, with explanations and recommended settings to customize the advanced features to work best for you. Camera Controls – An explanation of the camera controls, buttons, and displays, plus customizing the controls to best fit your specific shooting needs. Aperture Priority (A), Shutter Priority (S), and Manual (M) Modes – How and when to use them to create dramatic depth of field, freeze or express motion, or take full control of exposure settings. Autofocus Modes, AF-Area Modes, and Release Modes – Learn the AF Modes, AF-Area Modes, and AF Custom Settings of the new 51 point AF system, how they differ, how and when to take advantage of the different modes to capture still and moving subjects. Exposure Metering Modes – How and when to use and customize them for correct exposures in every situation. The Image Taking Process – Descriptive tutorials for capturing both still and moving subjects. Introduction to Video Settings – Explanations of the settings and options to get you started. Photography Accessories – Useful accessories for the D7100 and for dSLR photography. Composition – Tips and techniques, including the creative use of depth of field. This illustrated e-book guide to the Nikon D7100 goes beyond the manual to explain how, when, and why to use the features, settings, and controls of the D7100 to help you get the most from your camera. 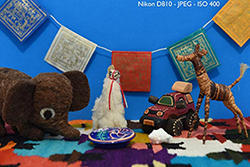 The First Nikon D600 e book user’s guide Now Available! Nikon D600 Experience, my latest Full Stop e book and the first D600 user’s guide, is now available! This e book goes beyond the manual to help you learn the features, settings, and controls of the powerful and highly customizable Nikon D600. Plus most importantly it explains how, when, and why to use the functions, settings, menu options, and controls in your photography – including the sophisticated autofocus system and the in-camera features such as Multiple Exposure, HDR, and Time-Lapse Shooting. Written in the clear, concise, and comprehensive style of all Full Stop guides, Nikon D600 Experience will help you learn to use your full-frame D600 quickly and competently, to consistently create the types of images you want to capture. This e-book is available in either PDF or EPUB format for reading on your computer, tablet, iPad, e-reader, etc. Take control of your Nikon D600, the image taking process, and the photos you create! For experienced photographers coming to the D600 from previous models, this guide explains the new and advanced features to quickly get you up and running and taking advantage of these capabilities, including the advanced 39 Point Autofocus System and its Autofocus Modes, AF-Area Modes, Menu options and Custom Settings. Plus it explains the camera controls, the in-camera HDR, Multiple Exposures, Interval Timer and Time-Lapse Shooting features, introduces the settings and controls of the HD video capabilities, and guides you through all the Menu and Custom Settings options to help you set up the camera for your specific needs. This guide is also designed for Intermediate and Enthusiast dSLR Photographers who wish to take fuller advantage of the capabilities of the camera to go beyond Auto and Program modes and shoot competently in A, S, and M modes; take control of the sophisticated 39 point autofocus system; learn how, when, and why to use the controls, buttons, and features of the D600, and much more. It covers basic dSLR camera functions and exposure concepts for those learning digital SLR photography, and explains more advanced camera controls and operation such as using the various metering modes and exposure compensation for correct exposure of every image. Setting Up Your D600 – All of the D600 Custom Settings and Playback, Shooting, and Setup Menus, including Movie Mode Menus, with explanations and recommended settings for practical, everyday use. Set up and customize the advanced features of your dSLR to work best for the way you photograph. Auto Focusing Modes and Area Modes and Release (Drive) Modes – The 39 point D600 autofocus system is a is a powerful tool, and taking control of it will enable you to successfully capture more sharp images, especially in action situations. Learn the AF Modes, AF Area Modes, and AF Custom Settings, how they differ, how and when to take advantage of them to capture both still and moving subjects. Plus how and when to use focus lock. Exposure Metering Modes of the Nikon D600 – How they differ, how and when to use them for correct exposures in every situation, and how to customize them for your needs. Also how to make use of exposure lock. Photography Accessories – The most useful accessories for day-to-day and travel photography including accessories specific to the D600. This digital guide to the Nikon D600 is a 217 page illustrated e-book that goes beyond the manual to explain how, when, and why to use the features, settings, and controls of the D600 to help you get the most from your camera. Canon T4i / 650D Experience, my most recent Full Stop dSLR e-book and the first available user’s guide to the T4i / 650D, goes beyond the manual to help you learn the features, settings, and controls of the advanced and versatile T4i / 650D, plus most importantly how, when, and why to use the functions, settings, and controls in your photography. Written in the clear, concise, and comprehensive style of all Full Stop guides, Canon T4i / 650D Experience will help you learn to use your Canon T4i / 650D quickly and competently, to consistently create the types of images you want to capture. The e-book is available in PDF format for reading on your computer, e-reader, or tablet. Take control of your Rebel T4i / EOS 650D, the image taking process, and the photos you create! For beginner, intermediate and enthusiast photographers: This Canon T4i / 650D e-book is for those who wish to get more out of their camera and to go beyond Auto+ and Program modes and shoot in Aperture Priority (Av), Shutter Priority (Tv), and Manual (M) modes. To get your camera set up, it begins with explanations and recommended settings for all Menu settings, Custom Function options, and Movie Mode Menu settings of the T4i / 650D. It covers basic dSLR camera functions and exposure concepts for those new to digital SLR photography, and explains more advanced camera controls and operation, such as using the various metering modes and exposure compensation for correct exposure of every image, controlling autofocus modes and focus points for sharp focus of still or moving subjects, and making use of the camera’s new multi-shot exposure modes. Setting Up Your Camera – All of the Menu settings and Custom Function settings for the T4i / 650D, including movie mode menus, with brief descriptions and recommended settings for practical, everyday use. Set up and customize the advanced features of this dSLR to work best for the way you photograph. Camera Controls – Description of all of the camera’s controls, plus when and why to use them, including how to take advantage of the new Touch Screen and Quick Control settings screens. Exposure Metering Modes of the Canon T4i / 650D – How they differ, how and when to use them for correct exposures in every situation. Also how to make use of exposure lock. The Image Taking Process – A descriptive tutorial for using the settings and controls you just learned to take still and action photos. This digital guide to the Canon Rebel T4i / EOS 650D is a 165 page illustrated e-book that goes beyond the manual to explain how, when, and why to use the features, settings, and controls of the T4i / 650D to help you get the most from your camera. The First Canon 5D Mark III e book user’s guide Now Available! Canon 5D Mark III Experience is my latest Full Stop dSLR user’s guide e book, which goes beyond the manual to help you learn the features, settings, and controls of the powerful and highly customizable EOS 5D Mk III, plus most importantly how, when, and why to use the functions, settings, and controls in your photography. Written in the clear, concise, and comprehensive style of all Full Stop guides, Canon 5D Mark III Experience will help you learn to use your Canon 5D Mk 3 quickly and competently, to consistently create the types of images you want to capture. The e-book is available in either PDF, EPUB, or MOBI format for reading on any device. Take control of your 5D Mk III, the image taking process, and the photos you create! For experienced photographers coming to the 5D Mk III from previous EOS models, this guide explains the new and advanced features to quickly get you up and running and taking advantage of these capabilities, including the new 61 Point Autofocus System and its Modes, Area Modes, Menu options and AF Case Presets. Plus it explains the new camera controls, the in-camera HDR and Multiple Exposures features, introduces the new video capabilities, and guides you through all the Menu and Custom Function items to help you set up the camera for your specific needs. This guide is also designed for Intermediate and Enthusiast dSLR Photographers who wish to take fuller advantage of the capabilities of the camera to go beyond Auto+ and P modes and shoot competently in Av, Tv, and M modes; take control of the sophisticated 61 point autofocus system; learn how, when, and why to use the controls, buttons, and features of the 5D Mk III, and much more. It covers basic dSLR camera functions and exposure concepts for those learning digital SLR photography, and explains more advanced camera controls and operation such as using the various metering modes and exposure compensation for correct exposure of every image. Setting Up Your 5D Mk III – Explanations of all of the Custom Function settings and Menu options, with recommended settings. Auto Focusing Modes and Drive Modes – Taking control of the new 61 point autofocus system will enable you to successfully capture more sharp images in still and action situations. Learn the AF Modes, AF Area Modes, and AF Configuration Presets and how and when to take advantage of them. Aperture (Av), Shutter (Tv), and Manual (M) Modes – How and when to use them to create dramatic depth of field, freeze or express motion, or take total control over exposure settings. Exposure Metering Modes – How they differ, how and when to use them for correct exposures in every situation. Histograms, Exposure Compensation, Bracketing, and White Balance – Understanding these features for adjusting to the proper exposure in challenging lighting situations. HDR Shooting mode and Multiple Exposure mode – Configure and use these new features. The Image Taking Process – Descriptive tutorials. Lenses – Canon lens notations and choosing L series lenses. Photography Accessories – Useful accessories for the 5D Mk III and for dSLR photography. This digital guide to the Canon 5D Mark III is a 195 page illustrated e-book that goes beyond the manual to explain how, when, and why to use the features, settings, and controls of the 5D Mark III to help you get the most from your camera.